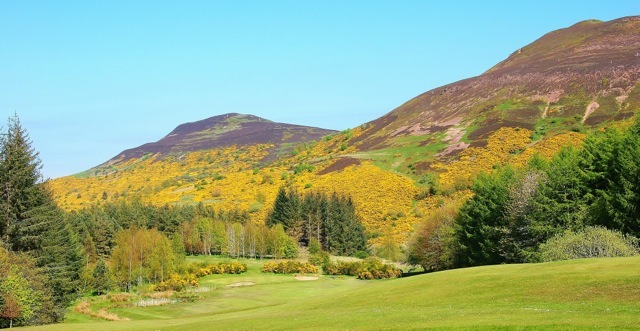 An elevated tee gives you great views of this stunning hole and the Eildon Hills beyond, a short hole filled with lots of hazards to trip up any golfer. From the tee you play to a generous fairway some 30 feet below, out of bounds on the right runs the full length of the hole, a small burn runs across the front of the fairway and down the left of the hole feeding a pond within driving distance, from the pond the burn runs back across the front of the green and tight round the right of the green ready to catch any slightly misjudged approaches. Two greenside bunkers and thick gorse six feet through the green gives you no room to get your club selection wrong on this approach. 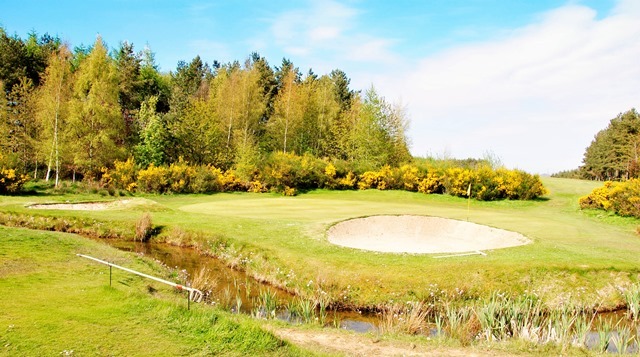 A beautiful hole to view can prove to be more difficult to play, 5th and 14th Tees shared.